Weeds are considered the top pest problem in crops, pastures, sports fields and golf courses. While both crabgrass and henbit are annual weeds, they are classified as different types of weeds and occur at different types of the year. Understanding how herbicides affect crabgrass and henbit aids in the elimination of these weeds from lawns, turf and crops. Crabgrass is an annual grassy weed that germinates once the soil warms to 60 degrees Fahrenheit for three to five days in a row. This summer weed flowers and sets seed in midsummer, and dies when the first frost of fall occurs. Grassy weeds have jointed, hollow stems and long leaf blades. Henbit flourishes in the cooler temperatures of winter and early spring. Considered a broadleaf annual, henbit grows from a taproot which is easily pulled from the ground. Broadleaf weeds feature wide leaves with pithy stems and showy flowers. Pre-emergent herbicides work to stop the seed from germinating. The herbicide is applied to the weed-infected area and integrated into the soil through irrigation. For control of early summer weeds, including crabgrass, the herbicide should be applied at any point during the fall or winter, provided the ground is not frozen or covered with snow. 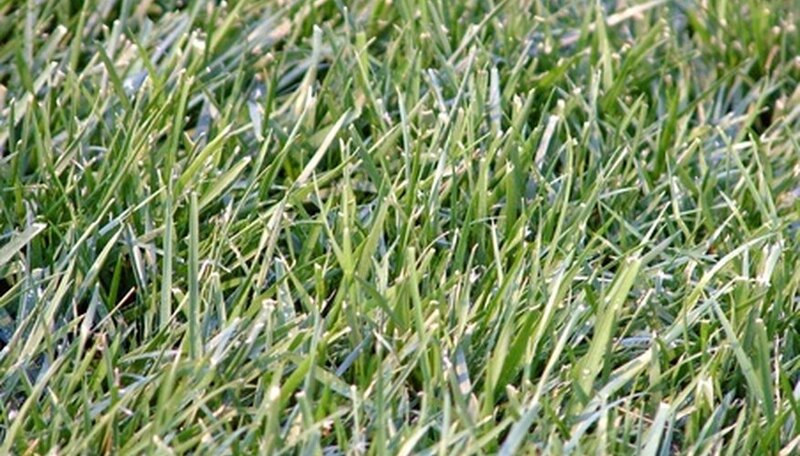 Depending on the application rate, pre-emergent herbicides applied during September, October or November have the ability to control crabgrass well into early summer. A second application is recommended in late spring or early summer, according to Grounds Maintenance, a website for golf and green industry professionals. Pre-emergent application for winter weeds, such as henbit, should occur before temperatures begin to cool in the early fall. Germination occurs in early September for most parts of the United States, with a second flush during March and April. One application should cover the entire henbit germination season, depending on the amount of rainfall in the area. The application timing for post-emergent herbicides on both crabgrass and henbit depends on the growth of the seed. Most post-emergent herbicides are most effective on young weed plants between 2 to 4 inches tall. Depending on the weather conditions of the area, the application time may vary. The ideal time for post-emergent application occurs when moisture levels are conducive to plant growth. This aids in the absorption and translocation of the herbicide chemicals in the plant. Pre-emergent herbicides effective on henbit include benefin, bensulide, DCPA, fenarimol, oxadiazon, prodiamine, napropamide, simazine and pronamide. Effective post-emergent herbicides include triclopyr+clopyralid, MCPP, dicambia and 2,4-D.
Pre-emergent herbicides effective for crabgrass control include benefin, trifluralin, bensulide, DCPA, dithiopyr, fenarimol, oxadiazon, pendimethalin, prodiamine, atrazine, oryzalin, metolachlor, napropamide, simazine and isoxaben. Post-emergent controls include MCPP and 2,4-D.